China opened a new cultural center in Valletta, the capital of Malta on September 19, 2003, which is expected to introduce China and its culture to nearly 400,000 Maltese and over 1.1 million tourists every year from Europe and other regions. 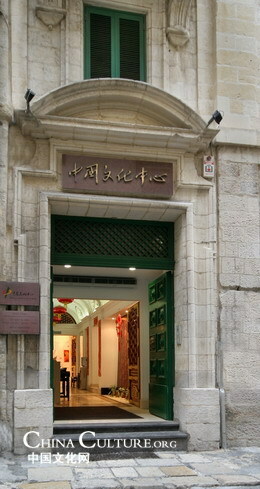 The China Cultural Center, located beside the Maltese prime minister's office building in the capital city of Valletta, is the fifth of its kind opened by China in the world. China set up two cultural centers in Mauritius and Benin in 1980s and another two in Egypt and France in 2002. As the first China Cultural Center in the Mediterranean region, the center is seeking to reach out to the peoples of Mediterranean and Europe by holding Chinese cultural seminars, exhibitions, Chinese language classes and other activities. "Cultural exchange is both a golden key and a golden bridge that can open and connect people's hearts," visiting Chinese Vice Minister for Culture Meng Xiaosi told dozens of Maltese government officials, artists, and other guests who were present at the inauguration. "We have every reason to believe that from this moment on, the colors of oriental culture will blend their glamour with the beauty of this ancient island." Several countries, such as France, Italy, Libya and Russia, have set up cultural centers in this tiny Mediterranean archipelago during the past decades.